I am the Education and Marketing Manager at HarperCollins Publishers, I manage our education list, conduct research, liaise with teachers and educational organisations and look after the marketing of education titles across the business. I completed a Master’s in Education focusing in learning and development. My area of interest is middle grade fiction, a career highlight is working alongside Jackie French. 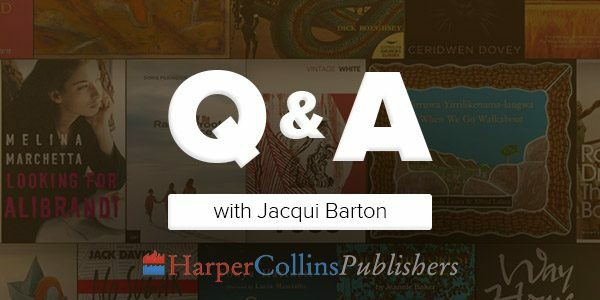 I have been in the publishing industry for over twenty years having worked for Scholastic Australia, Pearson Education and now for HarperCollins Publishers. I liaise with team at RA to ensure that the HarperCollins titles are represented, ensuring that they are aware of our breadth of titles. I also participate in their events to ensure that we are working together. Reading Australia is important as it promotes and spreads the love of Australian literature, by providing quality teacher resources. We have committed teachers and organisations that ensure that Australia is in the forefront. As Publishers we ensure that we publish the best books possible. My favourite book on the list is Playing Beatie Bow by Ruth Park because I read this as a child and then taught it in my first years as a teacher. I also love Dot and the Kangaroo, it was the first book that I read that was set in the Australian bush and there’s something unforgettable about the animals in the story.